Showing 40 of 215 results that match your query. Product - Saddle Shotshell Holder Kit 6 Shell Holder 12 Gauge For Mossberg Shotguns. Saddle Shotshell Holder Kit 6 Shell Holder 12 Gauge For Mossberg Shotguns. Product - Savage Stevens 320 12GA Tactical Shotgun Shell Holder Kit. Savage Stevens 320 12GA Tactical Shotgun Shell Holder Kit. 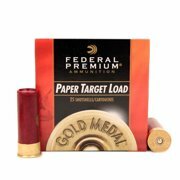 Product - Shotgun Shell Carrier Shell Holder - 12 Gauge - 6 Shell. Shotgun Shell Carrier Shell Holder - 12 Gauge - 6 Shell.